Android Reborn – Video will be much more attractive with watermark. It also functions to give your identity. So, when you share your video on social media, people will be easier to know the source of the video. Adding watermark can be done with 2 ways. That is what we will discuss in this article. Therefore, you have to pay attention to how to add watermark to video in android discussed below. Download and install Kinemaster app from Google Play Store. After you edit the video, tap on share icon and save it to your gallery. Now, it is saved in your phone gallery. You can open it from gallery. See the difference and enjoy it. You can watermark as many videos as you want. 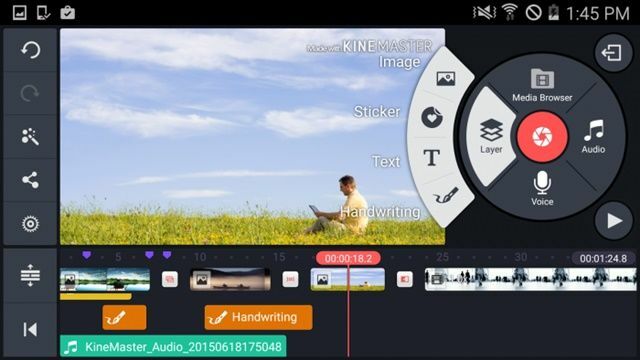 The second way how to add watermark to video in android phone still uses Kinemaster app. However, you will create a text for the watermark. Actually, you can use other apps besides Kinemaster. However, it becomes one of the best apps to use. Hopefully this will be helpful.